Phones just do too much these days. They are our go-to devices for chatting, recording, checking stuff online, getting directions, you name it. It's just hard not to reach for them the second something passes our mind, or we need to reach someone. Heaven forbid that a notification goes unchecked! That's is why we asked you last week whether you use your phone while driving, and just 30% of our 1424 respondents answered in the negative. Most of us use their handsets every once in a while in the car while behind the wheel, and a full 23% are very often reaching for the unlock button when driving, sad but true. Do you use your phone while driving? 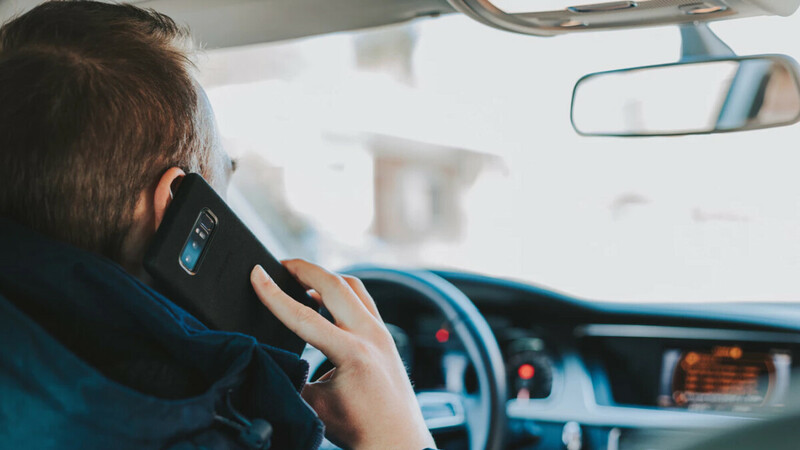 Distracted driving is reaching epic (and epidemic) proportions, as people even have trouble keeping strictly in their lanes now, while perusing their handsets for texting, chatting, or even playing Pokemon Go by defeating the whole purpose of the game. Case in point is the new hands-free law in Georgia that forbids even touching your handset while behind the wheel. That one resulted in more than a 100 tickers per day since its introduction at the beginning of the month, but we are fairly certain that any traffic cop standing at any of our great nation's city crossroads could achieve the same Georgian "success" story. So your just going to fix the title and not comment that the title is fixed? I've been driving and using a cell phone for 20+ years without issue. Talking and driving has never been a distraction for me. My brain is capable of handling both tasks, simultaneously, with ease. I never text and drive though. You only think it is. Tons of research proves otherwise. Talking on your handset is no more distracting than talking on bluetooth or talking to a passenger. Actually, talking to a passenger is different since they can watch traffic too and shut the hell up if things get a bit hectic. He is only talking about talking on the phone. And there isn't that much difference between handsfree calling and regular calling. But how much distracted you are, all depends on how intense the convo is. That's what they all say tell they hit someone. Still...it's probably better to have both hands ready to grab the wheel at a moments notice. Keeping one hand occupied by continuously holding something will rob you of that one extra second needed. I'm amazed at how man people pick up heir handset to talk while driving. Everyone knows its illegal and dangerous yet they still do it. it's not like hand free car kits are for the super rich, you can get them built into cheap cars. The other alternative is to put the phone in a cradle and use Siri or Google to do the dialling for you. There really is no excuse nowadays. Yes, it's sad. It's sad because it's dangerous and deadly - fatality in my town recently. Pulling over to take a call or waiting until a stoplight can always be done. "More than 100 tickets per day," was the purpose of the law. Revenue. If you would have read the original article, none of the tickets was a fine, just warnings. Even the Police officer that just gave you the ticket used his phone to call his baby mama on his way home from work. Far too many tv series show the hero of the show (including police, sheriffs and FBI agents) holding their phone and talking whole driving. Even dialling rather than using voice call. No surprise that ordinary people do so as well. Some states haven't yet banned use! TV series show something = people do it ... Oh my memmory is probably a bit blurry as a result of those masacres when Doom came out in 1994. People that use a phone while driving are idiots, there is no magic conspiracy behind it. I use my AirPods, or my cars infotainment center. Saw a guy driving in a pickup truck a few days with an iPad in his face. Just had to shake my head (and give him a wide berth ;) ).